MailWasher Server is a server-side anti-spam solution that cuts cost, improves employee productivity and tightens network security. Firetrust Limited, provider of award-winning anti-spam and email security solutions, today unveils a pre-release version of its newest product, MailWasher Server, at ShowStoppers' media showcase during CeBIT America. The easy-to-use server-side, anti-spam solution for businesses adopts a multi-layered approach to identifying spam messages before they enter an organization’s network. MailWasher Server benefits an entire organization by reducing burden for IT administrators, giving employees better control, increasing worker productivity, and most importantly, cutting costs. According to Nucleus Research, the average cost of spam per employee is $874 annually, which is likely to increase if analyst predictions are correct. Many analysts estimate that 30 percent of all incoming email is spam, and over the next year, it is expected to rise to 50 percent. All of this points to the importance for businesses to add an anti-spam solution to protect their network and cut costs, as well as developing security policies and employee education. With MailWasher Server, businesses both small and large can eliminate the bulk of unwanted email, while protecting legitimate email. "Spam is entering company networks faster than ever and sophisticated spammers are finding new ways to get through spam filters, which is placing a greater strain on IT managers' time, resources and budgets," said Firetrust CEO Nick Bolton. "With MailWasher Server, IT administrators are able to keep spam out of an organization’s network, which dramatically reduces exposure to harmful viruses or worms. The technology is extremely easy and quick to deploy and operate, scales exceedingly well, and integrates seamlessly into the existing email infrastructure. It's simple, powerful and effective." While many solutions can be complicated and require constant maintenance by IT staff, leading to high costs, MailWasher Server delivers a proven enterprise-level anti-spam solution that requires no additional IT resources to maintain. Statistical Content Filtering: Through Bayesian and lexical analysis, it accurately identifies and removes spam from incoming messages, keeping false positive occurrences to a minimum. Allows user to customize by selecting between five levels for sensitivity, from conservative to aggressive. Also, it’s policy-based, allowing IT administrators to define email policy rules. Connection Filtering: MailWasher Server checks an incoming SMTP server’s IP address to ensure incoming email is legitimate. Specifically, it protects against DNS-RBL (Domain Name Server-based Real-time Black-hole List), which are open-relay servers that spammers hijack and use to send large amounts of spam to third-parties. By inspecting an incoming SMTP server's IP address, MailWasher Server only allows email from non-blacklisted senders to go through. FirstAlert! : Adding to MailWasher Server’s comprehensive, multi-layered approach, MailWasher Server uses real-time data from FirstAlert!, a global spam reporting database and community, which contains more than 16 million verified messages, the result of thousands of people worldwide reporting spam in real time. For accuracy, Firetrust ensures that all messages submitted are indeed spam through a verification process by a FirstAlert! Administrator. Spam messages are digitally fingerprinted and any email or mutations of an email that match the fingerprint are then instantly eliminated, protecting email inboxes. Easy Installation: Installation and deployment are simple using the MailWasher Server configuration wizard, and it requires no dedicated server, no modification to existing network infrastructures and no reconfiguration of individual client workstations. 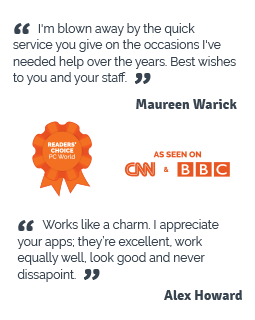 IT administrators can have MailWasher Server up and running within an hour or less. Streamlined Scalability: Whether a business has 10 employees or 10,000, MailWasher Server scales easily without slowing the network or server processing time. 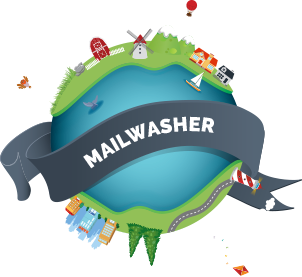 Low-cost of Ownership: MailWasher Server integrates seamlessly into the existing email infrastructure. Minimal IT Maintenance: MailWasher Sever adopts total Web management, allowing employees and IT administrators to effortlessly manage their email. By allowing employees access to email management capabilities, it frees up IT resources, saving time and money. Employees have access through the MailWasher online user portal, where they can independently review and manage their own spam messages, another reason to educate employees on good email security polices. Flexibility: With MailWasher Server, IT administrators have access to real-time reporting capabilities, remote management access for when they are out of the office, and the flexibility and control over what types of emails employees can retrieve or not. For example, an email marked as financial spam could be available for retrieval if the IT manager deemed those types of emails as acceptable. But a pharmaceutical email may be tagged by an IT manager as not available for retrieval by employees. MailWasher Server is available for Windows, Solaris and Linux environments, and works with Sendmail 8, Qmail and Exchange. MailWasher Server ships later this year and will be sold through the Firetrust Value-Added Reseller (VAR) Partner Program. MailWasher Sever beta-testing is currently underway and open to public testing. Businesses interested in beta-testing MailWasher Server can contact Firetrust through its Web site at www.firetrust.com. Pricing will be based on an annual subscription, per server and per seat. Exact details on pricing will be announced when MailWasher Server ships later this year. - New York (ShowStoppers–CeBIT America) & Christchurch, New Zealand.